Tonga’s 2010 constitution is poorly written, promotes secrecy, has compromised the role of the judiciary and parts of it may be illegal, according to a new report. The report, by Peter Pursglove, a legal consultant in Constitutional Law from Trinidad and Tobago, was based on a survey carried out on behalf of the Commonwealth Secretariat. *The judiciary lacks accountability and transparency. * Changes to the judiciary are inefficient, ineffective, unaffordable and possibly illegal. * No public discussions were held regarding the reforms to the judiciary or why they were considered necessary. “The present Constitution of Tonga can lay claim to being the most poorly structured and drafted Constitution of any Country in the Commonwealth,” the report says. “When one considers the justifiable pride felt by Tongans everywhere in the First Constitution handed down by King George Tupou I in 1875, this is truly a very sad state of affairs in a Kingdom that has one of the world’s oldest surviving written constitutions,” the report said. The review was carried out in 2012 and the report was presented to King Tupou VI in May. A Tongan version of the report was to be released in June. Pursglove reviewed certain aspects of the Tongan constitution particularly the establishment of the office of the Lord Chancellor, the appointment of the Attorney General and his role as the principal legal advisor to cabinet. He also reviewed the establishment of the Judicial Appointments and Discipline Panel as a Committee of the Privy Council and the role of the panel in making recommendations to the King in Privy Council. The report noted that before the Constitutional reforms of 2010 the Kingdom of Tonga had a well- functioning Judiciary that was independent and operated in accordance with recognised Constitutional Law standards. The Tongan Judiciary could be compared favourably with the judiciaries of other Commonwealth States. However, the Constitution of 2010 made sweeping changes to the Judiciary. These changes created a unique judicial structure not found anywhere else in the Commonwealth. No public discussions were held regarding these reforms and why they were considered to be necessary. These comprehensive reforms were never subjected to proper scrutiny and when introduced were untried and untested. Under the reforms new judicial institutions were created with names and titles taken from the United Kingdom without any understanding of how the holders of these names and titles operated under the British Constitution, according to the report. “No reasoning or justification has ever been given for the creation of a judicial structure based on, what are to Tonga, alien institutions with no legal, cultural or historical ties to the Kingdom,” the Pursglove report says. The report notes that the justice sector has been divided between the Ministry of Justice, the Office of the Lord Chancellor and the Office of the Attorney General. “Having three separate bodies responsible for the justice sector is proving to be unworkable,” the report says. “It is inefficient, ineffective and unaffordable”. Maintaining separate administrative structures for the Office of the Lord Chancellor and the Office of the Attorney General has duplicated functions that were being adequately performed by the Ministry of Justice. The financial costs of the new judicial structure cannot be sustained from public funds, the report says. The changes mean judicial system now lacks openness, transparency and accountability. While the Ministry of Justice remains accountable to the people through Parliament the Office of the Lord Chancellor and the Office of the Attorney General are not publicly accountable and answer only to the King in Privy Council. This is contrary to the democratic principles upon which the new Constitution was founded. Some of the changes made in the 2010 Constitution that relate to the judiciary may be illegal, the Pursglove report says. These relate specifically to the Lord Chancellor, the Attorney General and the Judicial Appointments and Discipline Panel. The roles of the Privy Council and of the Law Lords under the Constitution have also been called into question. “Under the Constitution primary responsibility for the administration of the courts and all matters related to the Judiciary and its independence is now vested in the Lord Chancellor,” the report says. “But this provision raises problems. The Lord Chancellor may have responsibility for judicial independence but there are provisions in the Constitution to guarantee this independence. Furthermore, the power conferred upon the Lord Chancellor under the Constitution to make regulations is null and void as the Privy Council no longer has any law making authority and cannot give any consent to the making of subordinate legislation. According to the report, the office of Lord Chancellor is not a judicial office, but an administrative office akin to that of a Minister and the Lord Chancellor should be answerable to Parliament like any other Minister. However, unlike the Minister of Justice who is answerable to Parliament, the courts and the people for his actions the “independence” of the Lord Chancellor, under the Constitution, makes him unaccountable and places him above the law. Good governance requires that there must be complete openness, transparency and accountability on the part of those who administer the Judiciary. The lack of accountability by the Lord Chancellor is incompatible with the principles of democracy and accountability upon which the Constitution of 2010 is founded, the report says. The transfer of functions from the Ministry of Justice to the Office of the Lord Chancellor has also duplicated the administrative and other costs associated with the administration of justice and will lead to an increase in Government expenditure at a time when money is scarce, the report says. “Tonga has one of the smallest judiciaries in the Commonwealth. Does this small establishment justify the creation of a whole Department to administer it or could the money be better spent on the provision of other, more important, government services in the Kingdom?” the report asks. According to the Pursglove report, issues also arise regarding the constitutional role of the Attorney General. Under the Constitution the Attorney General is the principal legal advisor to Cabinet and Government and is appointed by the King in Privy Council acting on the advice of the Judicial Appointments and Discipline Panel. Because of this arrangement the Government plays no part in the selection of its own principal legal advisor. “The selection of the Attorney General by the Panel is not an open and transparent procedure,” the report says. “How can a Government be sure that the Attorney General is selected on merit? What if the Government has no confidence in either the competence or the impartiality of the Attorney General who is chosen for them? Is it realistic to expect a Government to act on the advice of a person in whom the Government has no trust? The Constitutional reports claim the role of the Attorney General as a member of the Judicial Appointments and Discipline Panel also raises questions because the Attorney General is reliant upon the goodwill of the Panel for his continued appointment and terms of service. This relationship with the Panel could compromise the independence and impartiality of the Attorney General as the principal legal advisor to the Government. Even a perception of bias on the part of the Attorney General in his dealings with the Panel would render his position as legal advisor to the Government untenable. 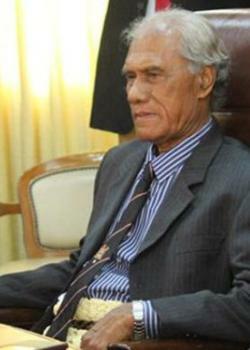 Under Tonga’s 2010 Constitution the Attorney General is now in charge of all criminal proceedings in the Kingdom. The report says it is unusual for an Attorney General to be both the principal legal advisor to Cabinet and Government and then be expected to retain public confidence in his impartiality as the person in charge of criminal proceedings. The practice in most Commonwealth States is for there to be an independent Director of Public Prosecutions who is responsible for the prosecution of all criminal proceedings on behalf of the State. The reports asks whether this should not also be the case in Tonga. “The constitutional provisions regarding the Attorney General promote independence over democratic accountability and responsibility,” the report says. “For example, the Constitution does not address the situation where a Government acts on the advice of the Attorney General and that advice is wrong or defective. In such an eventuality it will be the Government that must take responsibility before Parliament. It is clearly wrong that the Attorney General would escape responsibility and accountability in such circumstances. Responsible government demands that the Attorney General, as the principal legal advisor to the Government, should be accountable for his actions in the same way as any Minister of Government is accountable. This accountability can only be achieved if section 31A of the Constitution is repealed and the Attorney General is instead appointed as a Minister of Government who sits in both Cabinet and the Legislature. “A further controversial change introduced by the constitutional reforms to the Judiciary was the replacement of the Judicial Services Commission by a Judicial Appointments and Discipline Panel established as a Committee of the Privy Council. The report says that the Privy Council is in breach of section 30 of the Constitution in so far as it purports to exercise any Executive powers and functions under the Constitution. “The Privy Council of Tonga, lacking any democratic composition or accountability, does not represent Constitutional Monarchy,” the report says. “The Privy Council, appointed at the personal discretion of the King, represents absolute Monarchy and the performance of any Executive functions by the Council breaches section 51(1) of the Constitution and is accordingly unconstitutional. The report says that the Privy Council has failed to recognise the limits of its authority under the Constitution of 2010. This was illustrated by a decision it made in 2011 by which it claimed to have the power to bind the State by executing contracts of service of office holders whose terms of service are determined by the King in Privy Council. “Under the Constitution of 2010 neither the King nor the Privy Council have any law-making powers and neither has the constitutional authority to enter into any agreements that may be binding upon the State,” the Pursglove report says. The Role of the Law Lords as Members of the Judicial Appointments and Disciplinary Panel was also a cause for concern. Under section 44 of the Constitution the King confers titles of honour and honourable distinctions and may therefore confer the title “Law Lord” at his discretion. “However, as a constitutional monarch the King cannot, in his discretion, confer a title that then bestows upon the recipient the right to exercise Executive powers under the Constitution. Accordingly, the Law Lords of Tonga should play no role in the governance of the Kingdom. Their participation as members of the Judicial Appointments and Discipline Panel is in conflict with the principles of democratic governance upon which the Constitution is founded. “A further concern about the Judicial Appointments and Discipline Panel is that it not only advises on judicial appointments, but also makes recommendations for appointment as Attorney General, Police Commissioner and the Electoral Commissioner, none of who are members of the Judiciary. The Panel also determines the remuneration and terms of service for the persons appointed to these posts. Constitutionally, having the Judicial Appointments and Discipline Panel make non-judicial appointments is wrong and in conflict with the principles of good governance. Some other bodies, with the appropriate expertise and allowing for wider, more relevant, representation, should be created to make such appointments and determine the remuneration and terms of service of those persons appointed. “Even having the Judicial Appointments and Discipline Panel make recommendations to the King in Privy Council on the remuneration and terms of service of members of the Judiciary is a cause for concern,” the report says. “The setting of salaries by the King in Privy Council on the recommendation of the Panel without any input from the Remuneration Authority and without any discussion with the Executive and the Legislature who are responsible for public finance is contrary to the principles of good governance and breaches the rules of responsible fiscal management. Furthermore, having the Judicial Appointments and Discipline Panel, which under international law lacks the capacity to negotiate financial aid with donor governments and international organisations, responsible for Judicial appointments has put in jeopardy the continuation of donor funding for the Tongan Judges. Considerable conflicts of interest also arise in respect of the Panel, according to the report. The report says that concerns being raised about the constitutional provisions in relation to the Judiciary must be addressed. “The autocratic and unaccountable judicial structure introduced by the Constitution must not be allowed to frustrate the continued development of Tonga on its pathway to democracy and risk destroying public confidence in the new constitutional arrangements introduced in 2010,” the report says. The early years of the 21st century saw the pro-democracy movement in Tonga calling for constitutional change in the Kingdom. In 2006, frustration at the slow pace of constitutional reforms came to a head, culminating in serious civil unrest and outbreaks of violence in the Kingdom. In 2007 it was proposed to set up a commission to recommend changes and in 2008 a Constitutional and Electoral Commission was established to review the governance of the Kingdom and make recommendations for constitutional and electoral reforms. The current Constitution of Tonga introduced in 2010 has its origins in that review. The Judiciary was not included in the terms of reference of the Constitutional and Electoral Commission and accordingly the Judiciary did not feature in either the Commission’s review or Final Report. The result has been that while the Executive and the Legislature have been largely democratised the Judiciary is now lacking in transparency and accountability and has become autocratic.